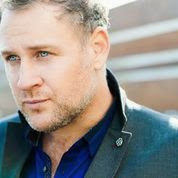 San Diego Opera fans first had the pleasure of seeing American baritone Lucas Meachem (http://lucasmeachem.com) rock the role of Figaro in Il Barbiere di Siviglia in 2012. A natural on stage, he performed with unique comic flair and dazzled the audience with the power and beauty of his voice. 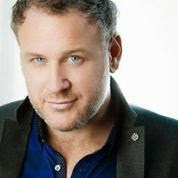 Now a major operatic presence nationally and internationally, Meachem is about to take Europe by storm with an extended tour including London, Lucerne, Copenhagen and Monte Carlo. I caught up with him before leaving for London, where he will sing in La bohème at Covent Garden starting May 23. 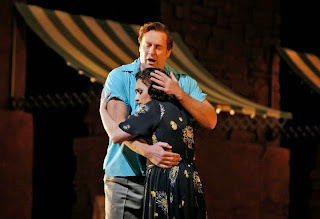 EM: Lucas, I remember your delightful Barber at San Diego Opera (http://www.sdopera.com/Home). I’ll get to that shortly. First I wanted to ask you where you grew up and how and when you became passionate about opera. EM: Involved, yes, but the progression seems natural and quite impressive. After San Francisco Artists did you go to another young artist program, or did you start to perform? LM: After that I was released into the big, bad world of opera. [Laughs] I was like an animal being released into the wild. EM: The jungle that is the music world? LM: Yes. I had been kept in a very safe environment up until then. It was an interesting ride, because I had no opportunities ahead of me. [Laughs] Just a few small gigs here and there. EM: In what cities did you perform your first few years? LM: My first professional job was with Ohio Light Opera, a small company in Wooster, Ohio, the summer of 2000, the only company in the United States that does a different show every night of the week, which is incredible - mostly light opera and musical theater. I had to do eight shows and be in the chorus of four, small roles in maybe three, leading roles in one or two. It was like Opera Boot Camp. A sink or swim environment where you either did well or crashed and burned. I got thrown into the deep end and thrived, because I can memorize stuff incredibly fast. Really small amount of time to put up a show. We put up Pirates of Penzance in three days, quite an undertaking. Every subsequent company I worked for has seemed easy by comparison. EM: Obviously you swam like an Olympian. EM: What was your big debut? LM: Definitely Chicago Lyric Opera in 2006, Iphigénie en Tauride on three weeks notice. Simon Keenlyside pulled out. It was a sudden, spur of the moment thing. EM: I’m sure your background in Ohio prepared you to jump on that. LM: Absolutely. I’ve just got a crazy brain, I’m no genius by any means, but my brain works perfectly for opera. I memorize words and music quickly, choreography, action and staging in the moment. In Ohio, you had to put an action to every word. I developed a system in my brain where all those wires connected. Now I’m able to remember everything a director tells me, to regurgitate ideas immediately onto the stage. EM: For the antics you had to cavort in for Barber, your athletic background must’ve come in handy. Did you find it difficult to keep producing that gorgeous sound when you’re sliding down a pole and getting dressed? LM: [Laughs] Not really. The years of training and practicing prepared me for it. It’s like asking the guy that won the World Series if he’s feeling the extra pressure. You go in there, the game happens and you just do it. The only bit of difficulty was getting dressed in that amount of time. Every piece of clothing had a musical moment that had to happen. But going up-and-down a pole…well, for a country boy it’s about the easiest thing to do. EM: Drawing from Mozart, Verismo, Puccini, Billy Budd - is there one that you feel is more enjoyable, or more the right fach for you? LM: Good question. There’s quite a stark difference. Verismo can be harsh sometimes. The most difficult thing is living the emotion in your voice. It’s nice to relax into Mozart, just sing and let the emotion ring through the music. I don’t approach it any differently as far as the vocal production, but I do find it harder to stay within my bel canto technique, then going right into Verismo. EM: Is Italian the most comfortable language for you? LM: Actually, French lyric opera is my number one. I love Italian and German opera, but I feel the way my voice resonates is exactly French opera. I love singing in French. EM: Singers I’ve interviewed have said that French as a language is difficult to sing, though it may lie comfortably for the voice. Do you feel that way? LM: No, I feel totally comfortable in French. It’s all about modification. If you’re uncomfortable with something in French you can modify it. A French diction coach would tell you to sing an incredibly closed “o” vowel on certain things. You just have to know that to sing in a house full of people you can’t close an “o” vowel like a nasal vowel, like in “cochon”. You have to [Sings] make sure it’s resonant in the house. I’ll sing different vowels in a recital for two hundred people than I would in an opera for two or three thousand. It’s all about how close you are with the audience and how much voice you need to give. There are so many different layers to it. I always think of opera as this pie. Every time I feel like I’ve filled a whole pie pan with music and knowledge and language, I look down the table and see a hundred empty pie pans to fill. The more you learn, the more you realize you need to learn. EM: You’ve done Wolfram in Tannhaüser. Is there more Wagner in your future, or other German roles up your sleeve? LM: Possibly Meistersinger. Not Hans Sachs, but Pogner. Then there’s Amfortas. I do love Korngold’s Die Tote Stadt. I’ve sung the dual roles of Frank-Fritz in San Francisco and Madrid. It’s an opera that should be performed more. EM: What other roles have you not yet sung that you would like to sing? LM: Rodrigo in Don Carlos. I would love to sing that. EM: Do you have French roles coming up? LM: I’m singing Les Troyens for the first time, possibly Pearl Fishers, one of the roles I sing best. Everyone underestimates the role of Zurga. It’s become one of these roles where they hire people for their six-packs rather than their ability to sing it, and it’s not a role you can do that with. The reason people can get away with it is because people don’t know the opera. It’s a terrible double standard that opera is having to deal with right now, looks vs. singing. Looks are winning out more than voice these days. EM: Do you think that, except for the famous duet, the rest of the music in Pearl Fishers isn’t that familiar because it’s not the most oft-performed Bizet opera? LM: Absolutely. People don’t know the opera well enough. The problem is, the plot’s ridiculous. But the music is gorgeous. If a director can come up with a Pearl Fishers that people really believe in, it could be the next big opera, because opera houses only have to hire three really good singers, a chorus, and one secondary bass-baritone. EM: The music is sublime, perfect for smaller companies like San Diego Opera. Speaking of SDO, Is there any possibility of see you here again in the future? LM: I had such a good time in San Diego. All it would take is an open schedule and an invitation. EM: What else is coming up for you? EM: A lot like Hollywood. LM: It’s nice to see my career evolve, from mostly Mozart and Rossini and La bohème into a little more meat on the bone, vocally. EM: Germont is a big one. Is there anything you’d like to add? LM: I just got engaged to a beautiful woman who is a pianist and an opera coach, so I feel like I have set up a team take me to the next level and beyond. I’m really happy with where my career is. Now I have a lovely woman in my life who listens to me on stage and gives me immediate feedback on what I need to do better. EM: All you have to do is raise a chorus. Just kidding. LM: [Laughs] We’ll get there. EM: Sounds like you’re about to take off and fly. Enjoy your tour.